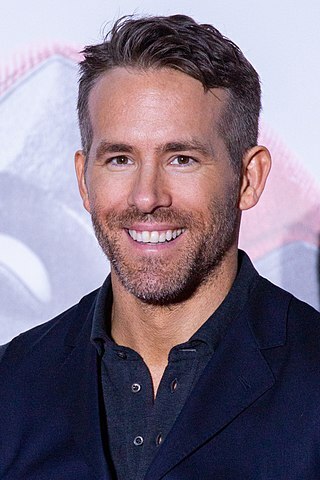 Ryan Reynolds was born in Vancouver, British Columbia, Canada, on October 23, 1976, is an Canadian actor. Young Ryan Reynolds began his acting career in teen soap opera Hillside (1991-1993) in role as Billy Simpson. He made his big screen debut in Canadian movie Ordinary Magic (1993) in role as Jeffrey/Ganesh. Ryan's breakthrough performance came as Michael Eugene Leslie "Berg" Bergen in sitcom Two Guys and a Girl (1998-2001). He played Wade Wilson / Deadpool in superhero films Deadpool (2016) and sequel Deadpool 2 (2018). National Lampoon's Van Wilder (2002) romantic comedy in role as Vance "Van" Wilder, Jr.
His hobbies are traveling and riding motorcycles. He played rugby nine years. He dated actress Scarlett Johansson (2007-2011). He voiced Guy in film The Croods (2013) and Turbo in movie Turbo (2013). Ryan married actress Blake Lively on September 9, 2012 at Boone Hall in South Carolina, they have two daughters. Fan of American football team Green Bay Packers. When I'm not training for a movie, it's more relaxed. I do a lot of running. Usually I'll run four to six miles about three times a week. You try to eat right, but you don't always. I read the 'Deadpool' series back in the '90s. I'm not, like, a huge comic book reader, per say, though. I'll check out 'Archie' when I'm in the grocery line, but that's about it. I don't expect success. I prepare for it. I was a really nervous kid. I was extremely sensitive. Incredibly perceptive.